That may sound like fan hyperbole, but it's what I immediately heard a few years ago, when I first encountered Ypsilon gear at a hi-fi show. Though the company was then new to me, nothing I've heard since, at shows or at home, has deviated from that very first impression. 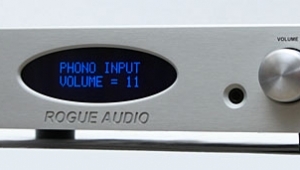 Ypsilon models look beautiful, even dramatically so, in their cases of thick, milled aluminum, and perhaps that's what first drew to them the reviewers and civilians who attend audio shows. What kept them there was the sound, or the lack thereof. Many listeners tempered their initial enthusiasm with caution: A sound that good must be based on sonic tricks that only time will reveal. I found myself almost wishing that to be true, given what Ypsilon products cost. 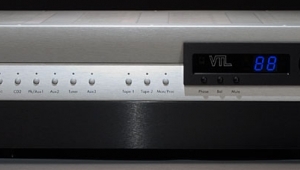 But having spent a great deal of time with Ypsilon's VPS-100 phono preamplifier ($26,000; I reviewed it in "Analog Corner" in August 2009 and March 2011), I'm convinced there are no tricks. 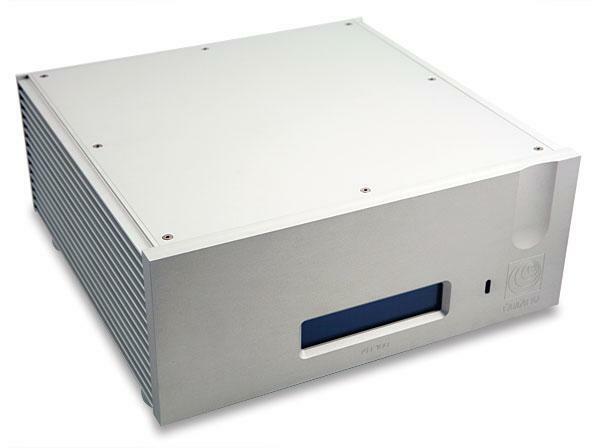 As is often the case in high-performance audio, less artifice comes at a high price. Ypsilon's products are very expensive, and deceptively simple in design. 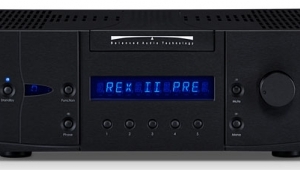 The PST-100 Mk.II will set you back $37,000. 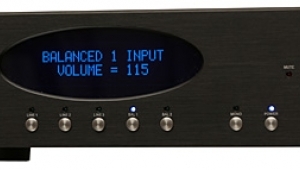 If you don't need the active stage, the completely passive PST-100 TA can be had for $26,000. (The active tubed stage can be retrofitted at the factory.) 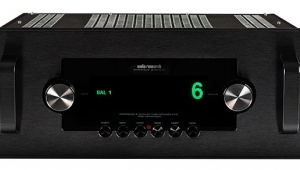 But either way, and considering that a preamplifier's basic job is to switch and route low-level audio signals without adding to or subtracting from any signal fed to it, these are high prices to pay for what is, essentially, nothing. 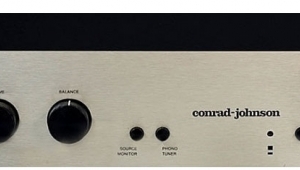 Of course, there's more to a preamp's job: It must also provide signal attenuation and, usually, gain, as well as an output impedance low enough to drive cables and interface with a power amplifier of high input impedance. 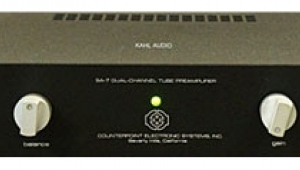 Over the past year or so, a few impressively neutral, dynamic, quiet, wide-bandwidth tube preamplifiers have passed through my listening room that rival the quiet and tonal neutrality of my reference, the solid-state darTZeel NHB-18NS. 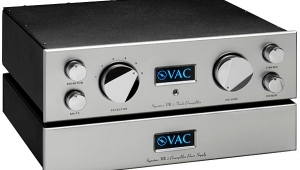 The best solid-state and tubed preamps these days are more sonically alike than different, though of course the subtle differences are the basis on which listeners who can afford such products choose. 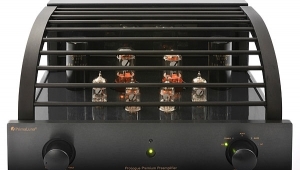 Ypsilon's co-owner and chief designer, electrical engineer Demetris Backlavas, believes that the key to a preamplifier's sound is the means by which it attenuates the signal it's fed. 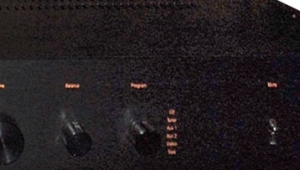 Instead of the more commonly used resistor attenuation, Backlavas uses what he says is a very linear, 31-tap transformer that Ypsilon winds in-house. 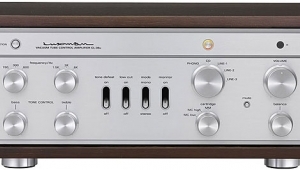 By comparison, he says, attenuators that use even the finest-quality resistors tend to sound grainy and discontinuous because the in-series resistor converts voltage into current, while the parallel resistor turns current back into voltage. Not that Backlavas and his partner, Andy Hassapis, didn't try to build a better resistor-type attenuator, using a variety of materials. The problem, according to Backlavas, is that, in order to resist, a resistor must be made from a bad conductor of electricity. Copper and silver are good conductors and small-value resistors can be made from these metals that, not surprisingly, can sound very good. Unfortunately, it's impossible to use copper and silver to make high-value, wideband resistors because of the parasitic inductance that goes along with the need to use coils of very many turns. 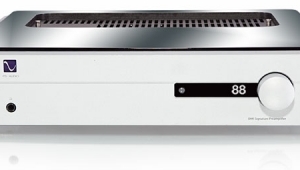 In addition, resistor-based attenuators waste signal energy by turning the attenuated energy into heat. Nonetheless, Backlavas admits that attenuators of reasonably high quality can be built using carefully chosen resistors. 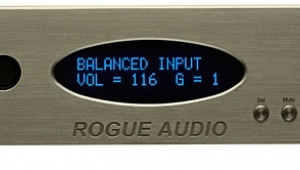 You're probably listening to such a device as you read this. And, as anyone who has spent time listening to transformers (and Backlavas has spent more time listening to them than most) knows, even those with identical specs can sound remarkably different from each other, and some can ring unpleasantly or sound bad for a variety of reasons. 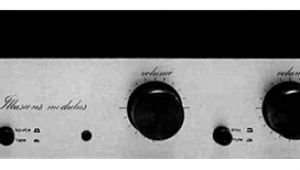 In fact, transformer-attenuated preamplifiersor, more precisely in this case, autoformer-attenuated preamps, in which the primary and multi-tap secondary overlaparen't new. Hobbyists have advocated and built them over the years, but few are commercially available. The advantage of such an attenuator over one that uses resistors is that energy is transformed and not lost as heat. 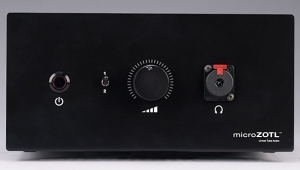 Backlavas gave an example: starting with a source impedance of 1200 ohms, attenuating the signal 10dB (or 3.16 times), produces an output with lower voltage and higher current and an impedance of 120 ohms (1200/3.162), which has an easier time driving loads, unlike the less amplifier-friendly results produced by a passive-resistor attenuator. 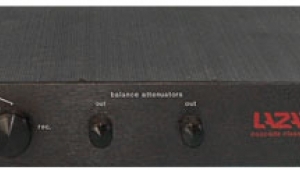 That said, of course, transformer attenuators have their own problems that must be solved before they can produce good sound. The core material must have low hysteresis (hysteresis being like unwanted "magnetic memory") at both low and high frequencies, and linear magnetic permeability with flux and frequency.